If you’re looking for a new home in North Fort Worth, look no further than our newest neighborhood, Shale Creek! 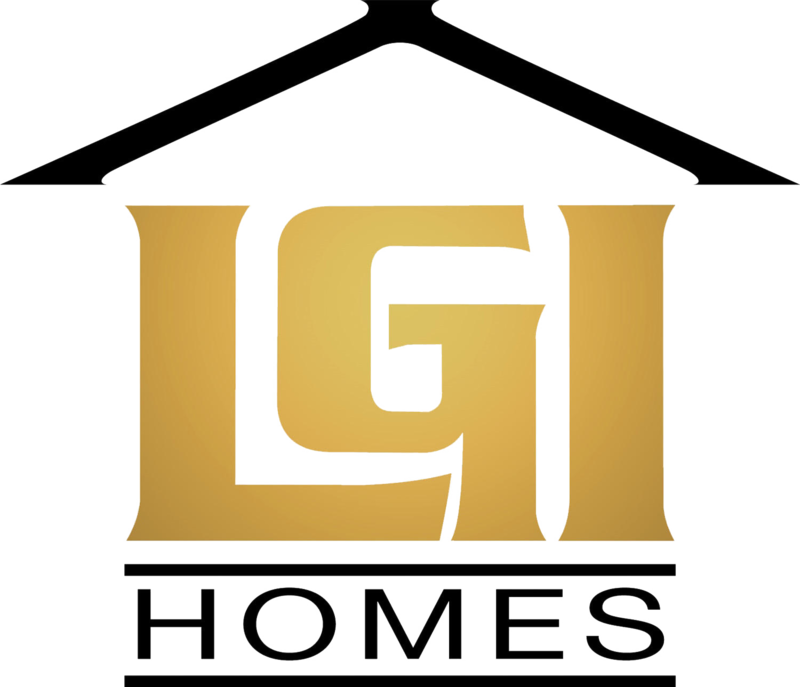 We’re thrilled to announce this brand new addition to the LGI Homes family, and we’re sure you’ll find the home of your dreams on the streets of this gorgeous master-planned community. Nestled just off 114 and Highway 81, Shale Creek offers a tranquil family-friendly atmosphere just minutes from the Texas Motor Speedway, the Alliance Town Center Corridor and the heart of the city. If you’re seeking quiet country living and a short commute, Shale Creek is the place for you! Our Shale Creek community offers several floor plans for you to choose from, making it easy for you to find the perfect place to suit your family’s needs. You can choose from 3-, 4- and 5-bedroom models, all situated atop over-sized lots that will provide ample room for your kids and pets to roam and play. We’ve included over $15,000 in upgrades in every home at no extra cost to buyers, including top-of-the-line appliances, custom-made cabinets, granite countertops, fully-fenced backyards, utility rooms, raised six-panel doors, brushed nickel hardware and fixtures and much, much more. And with homes starting at just $739 per month, a house in the stunning Shale Creek neighborhood could cost less than renting in the Fort Worth area! Just outside your front door you’ll find no shortage of things to do within the comfort of the community, because Shale Creek has it all. As a master-planned community, Shale Creek is rich in community features and amenities with the entire family in mind! 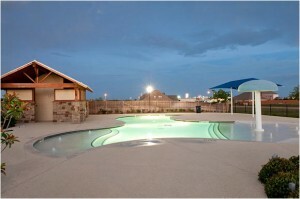 The neighborhood has an expansive swimming pool to keep you cool in the Texas heat, as well as a children’s playground for your kiddos to meet and make friends in their new neighborhood. Additionally, the community has a fitness center and a clubhouse that’s perfect for hosting birthday parties and neighborhood get-togethers. At LGI Homes, we always strive to build our communities in the most desirable locations available, and Shale Creek is no exception. The community offers the best of quiet country living outside of the big city, while still providing a short commute.You’ll love having the convenience of a quick drive to most anywhere you want to go – while living in a peaceful, private neighborhood! Shale Creek offers convenient access to downtown Fort Worth and the Texas Motor Speedway, and is just minutes from the Trophy Club, Keller and South Lake area where you’ll find countless shopping, dining and recreation opportunities. If you’re ready to get out of your rental and into a home of your own, call us today to learn more about our available homes in Shale Creek! 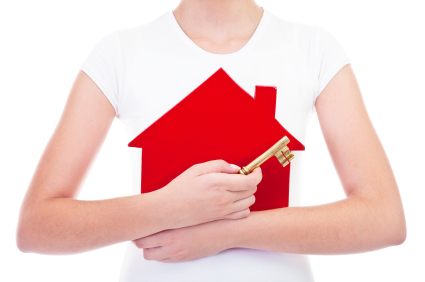 We’ll walk you through every step of the home buying process and help you find the perfect home for you. These homes are sure to sell out fast, so don’t let this once-in-a-lifetime opportunity pass you by! Contact a sales representative today at (855) 441-6400. Now that summer has ended and the kids are back in School it is time to start thinking about the upcoming holiday season. Where will you be spending the holidays this year? How about in your very own brand new home. Deer Creek, South Fort Worth’s premiere community, located convenient to I-35W and I -20, is convenient to shopping, dining and entertainment the whole family can enjoy this holiday season and throughout the year. Plus, during the summer months you and your family can take advantage of fun in the sun at the park and private community pool. 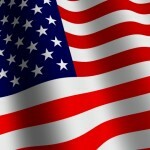 Purchase a new home today for as low as $679 a month and you could be living in your new home in as few as 30 days. 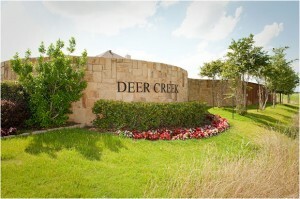 As a bonus Deer Creek has special financing options so you can move into your new home with NO MONEY DOWN. Don’t forget, purchasing your new home before the end of the year allows for tax deductions on your 2010 income tax filing. Plus mortgage interest rates are at a 52 year low, if you are in the market for a new home or are tired of renting now is the time to buy. 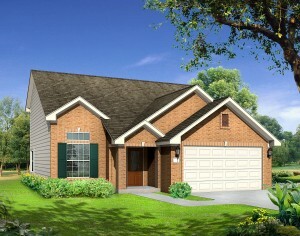 With six beautifully designed floor plans finding the perfect home is easy at Deer Creek. Call today to learn how to make your dream home a reality.